It was not known if the Halcyon, valued at $25,000 was insured. She was owned by North Pacific Sea Products of Seattle. HAWAIIAN PRINCESS (1988) The catcher processor Hawaiian Princess was consumed by fire July 1, 1988 approximately 100 nautical miles northwest of Dutch Harbor. All seven crewmembers escaped to a life raft and were picked up an hour later by the fishing vessel Bering Sea. The burned out hulk of the Hawaiian Princess was sent to the bottom by the United States Coast Guard, who pumped over 800 rounds of machine gun fire into the vessel to sink her. The Hawaiian Princess was considered unsalvageable and a hazard to navigation. HELLION (1979) The 60 foot crab fishing vessel Hellion disappeared November 23, 1979 with three crewmen aboard. The vessel departed Dutch Harbor November 22nd to pick up crab pots at sea and deliver them to Beaver Inlet. A storm with winds to 70 knots and seas to 20 feet came through the following day. Lost were captain and owner Ronald Hoffman of Seldovia, and crewmembers Walt Laughhead of Seldovia and Aaron Goin (19) of Oregon. HOKUTO MARU NO 5 (1979) The Japanese fishing vessel Hokuto Maru No 5 sank after a collision with the Japanese fish processor Tsuda Maru July 5, 1979 southwest of Saint Paul Island in the Bering Sea. 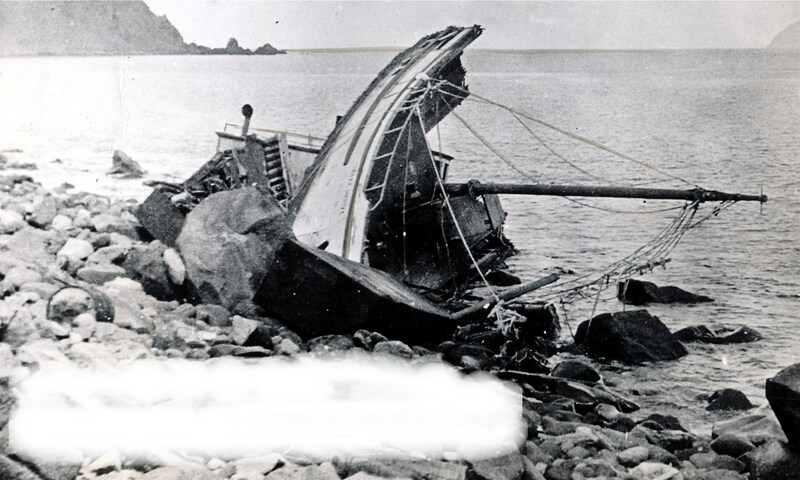 Six crewmembers from the Hokuto Maru No 5 were lost. 20 others from both vessels were rescued by the U S Coast Guard. HOLY CROSS (1992) The 79 foot crab fishing vessel Holy Cross flooded and sank February 16, 1992 near the Pribilof Islands. All five crewmen were rescued by the fishing vessel El Dan.